My lovely readers I have a special treat for you today – an interview with Angela Wilson Chief Operating Officer for MustaeV USA. You know by now that I really love all the MustaeV products I reviewed, so I thought I would invite you for a deeper insight into the MustaeV universe through this interview. Hello Angela. Please tell the readers of Monica’s beauty in five minutes a few words about yourself. What is your inspiration for the make-up looks you do? My inspiration for the makeup looks I create comes from different places. It comes from paintings, beauty icons, time period makeup, fashion trends, artistry books, old films, etc. Sometimes it even comes from me seeing a color or fabric I love. How did your story with MustaeV begin? 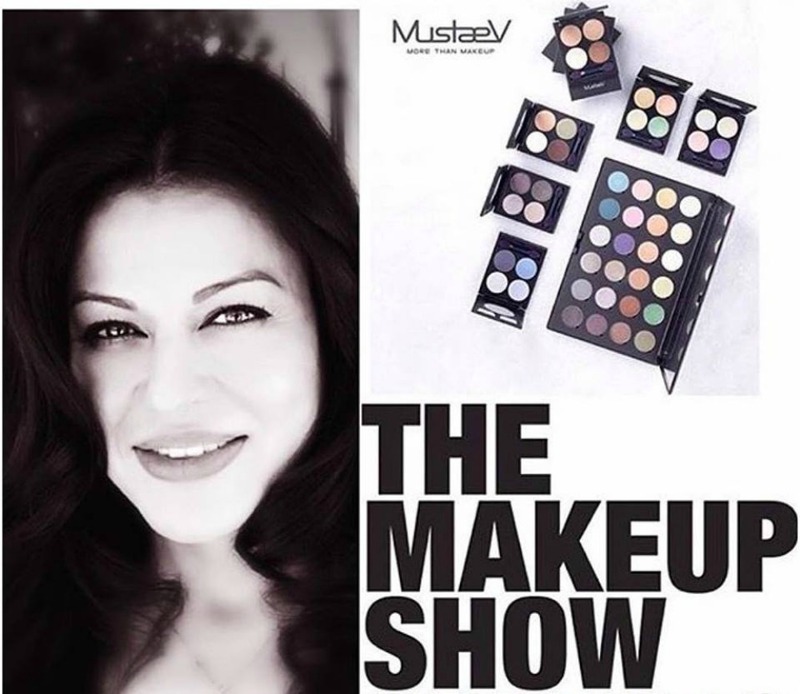 I had been working in the cosmetic industry for almost 15 years when I joined the MustaeV team as their Chief Officer where I am involved in many facets including, artistry, research and developments, training, education and management. For 14 of those years I was working for a well known artistry brand overseeing operations and training in a large region. 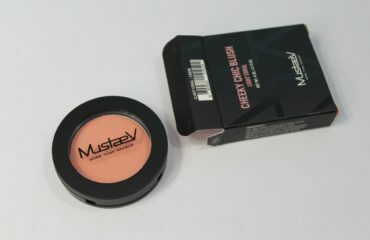 Prior to leaving the brand I had the opportunity to try MustaeV and immediately fell in love with the products. I saw a huge change in the appearance of my skin and absolutely loved the application and feel of the brushes. At that point I was sold and knew MustaeV was a brand I wanted to promote and grow. Its been almost 4 years since I joined MustaeV as their Chief Operating Officer and have enjoyed every minute of it. How does MustaeV differentiate from the other make-up brands on the market? The majority of Korean cosmetic brands focus on skincare. MustaeV is one of the few brands that offers top quality makeup brushes at a reasonable price along with a wide variety of color cosmetics. It is one of the fastest growing color cosmetics and brush brands in South Korea. The brand was launched in 2009 in Seoul’s Cheongdam area and recognized for, and specializes in, providing high quality luxury makeup brushes made with only the finest materials and the highest quality control standards. MustaeV’s color makeup includes products ranging from eye shadows to blushes, lip color to eye liners, foundations and everything in between. 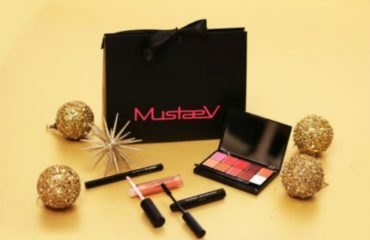 All MustaeV items are planned, developed, and tested by a high profile team of makeup artists based in Cheongdam, an area specializing in makeup, hair, skin care, and fashion located in Gangnam, Seoul, Korea. In addition we are also one of the few brands in South Korea with a founder who has a Ph.D. in chemistry and have a pharmaceutical license enabling us to formulate and produce our own color cosmetics. The brand was recently awarded a Brand Power Award for being one of the few color brands that combines pharmaceutical technologies and color so the products offered are skin friendly and do not damage the skin. As a make-up artist what is your advice for an impeccable, complementing make-up look? Keep the skin looking natural. Make sure the foundation you are wearing matches your skin tone and don’t over apply the foundation to where it looks heavy and cakey. 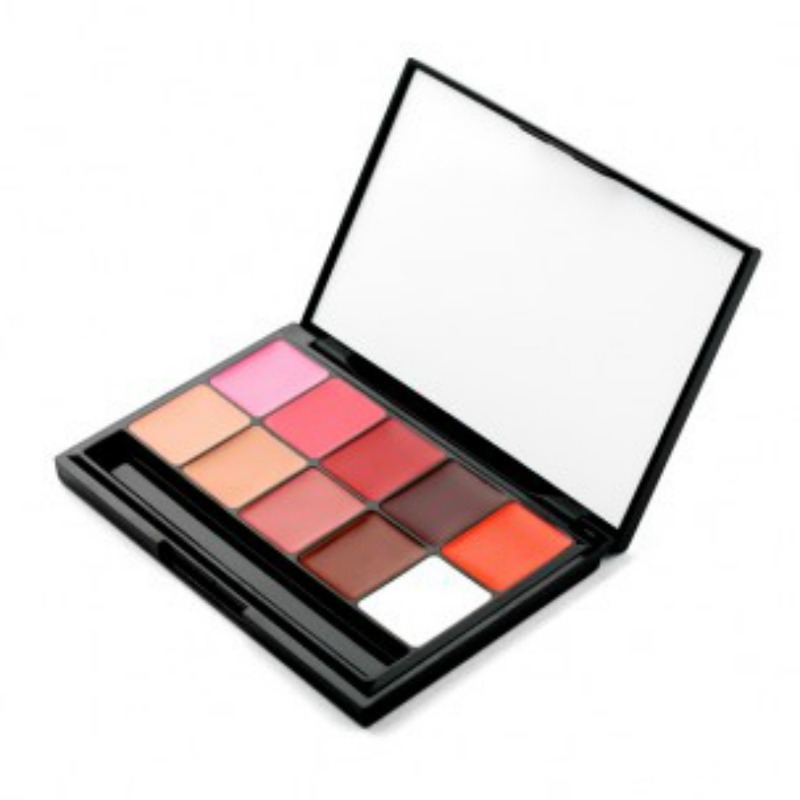 For blush and lipstick choose shades that have the same undertone as your skin. This will give you a lively healthy appearance. As far as shadows use complimentary colors and color theory to select the shades to enhance your eyes. Anything that contrasts your eye color will make it stand out. For example, if you have brown eyes try using purples and blues. It really makes the eyes pop. For those with blue eyes try oranges, corals and bronze tones. The eyes immediately look brighter. Using a color wheel to choose shades is a great way to find perfect shades that are most flattering for you. What are the secrets of a glowing, healthy-looking skin? Hydration, hydration, hydration. I find myself always educating to drink at least 8 glasses of water and use a high quality moisturizer and foundation. It makes a huge difference on the appearance of our skin. The skin looks healthier, supple and younger. Proper hydration internally and externally provides the preservation and resiliency of our skin’s physical barrier, improves skin aesthetics and reduces dryness and flakiness. What are the make-up products you can’t live without? Foundation and mascara are two products I cannot live without. Skinny Tint Foundation keeps my skin looking flawless and Maxi Volume Mascara adds definition to my lashes and eyes. The combination of these two products gives me a youthful, healthy and wide awake look. Can you share with us a make-up tip that never fails? Do your eye makeup first. Start by applying a primer or concealer to the eyelid area. Apply your eye shadow, liner and mascara. Take a cotton pad with eye makeup remover or a makeup wipe and clean the fall out under the eye area. Then apply your foundation, concealer, brows, lip, etc. This keeps any fall out shadow being left behind and creating darkness or discoloration under the eye. What are your must-buy recommendations from MustaeV? This is a hard question because I am a makeup junkie and truly love MustaeV products. I’ll try to narrow the list down. Skinny Tint Foundation is an absolute must. 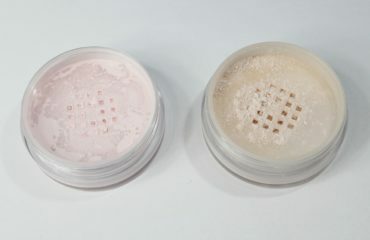 It provides a sheer to medium coverage that’s buildable and provides the look of flawless skin. The formula is also hydrating which is a plus and provides a long wear without clogging the pores. Its by far one of my favorite products. I also love Maxi Volume Mascara and use it daily. It provides length and volume without the clumps. I can’t forget my beloved 10 Shade Lip Palette which allows me to create whatever shade of lipstick I want within seconds. Lastly if you haven’t tried a MustaeV makeup brush you are missing out. These brushes have the softest most luxurious hair bundles and make applying makeup effortless. Not only that but they are built to last and not fall apart. Can you share what MustaeV has next in store for us make-up lovers? We have several plans in store. 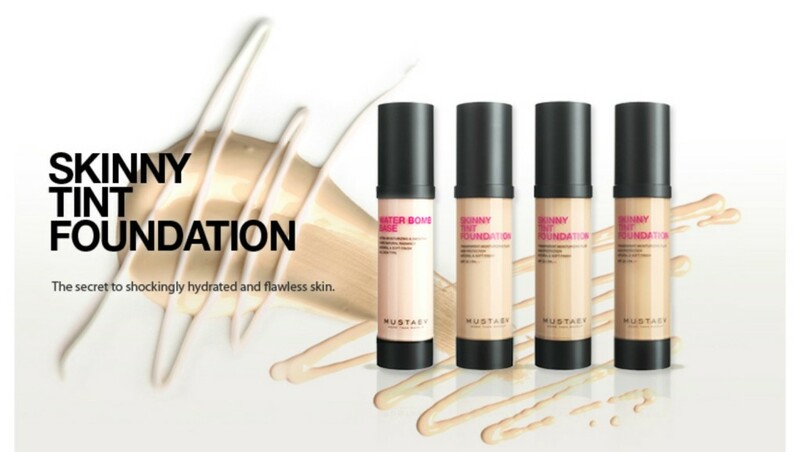 We are currently working on shade extensions for our Skinny Tint Foundation line. We hope to launch these early Fall 2016. We are also working on some skincare items which I am unable to share details at this time since they are still in development but we hope to have everything finalized and launched by the end of the year. Additionally, we have four shows left this year where we will be showcasing our products, The Make Show Atlanta, San Francisco, Dallas and Chicago. We hope to expand the shows we participate in 2017 and hopefully be offering our products not only in Asia and the US but also Canada and Europe. Angela Wilson, a Houston transplant originally from Dallas, Texas, has spent the last 18 years working in various capacities in the makeup and beauty industry. Starting as a beauty consultant, Angela has been involved in many facets of the industry including, artistry, research and development, training, and management. She currently serves as the Chief Operating Officer for MustaeV USA, a Korean cosmetics brand that recently launched in the US. She is married with one son and enjoys spending time with her family while pursuing her dream and passion of fashion and bringing beauty to the world through makeup and artistry.